Apple、iTunes Storeで購入したビデオの日本語字幕が表示されない場合があるとしてサポートページを公開。 | AAPL Ch. Japanese subtitles on some videos purchased in the iTunes Store might not appear or might not be formatted correctly. 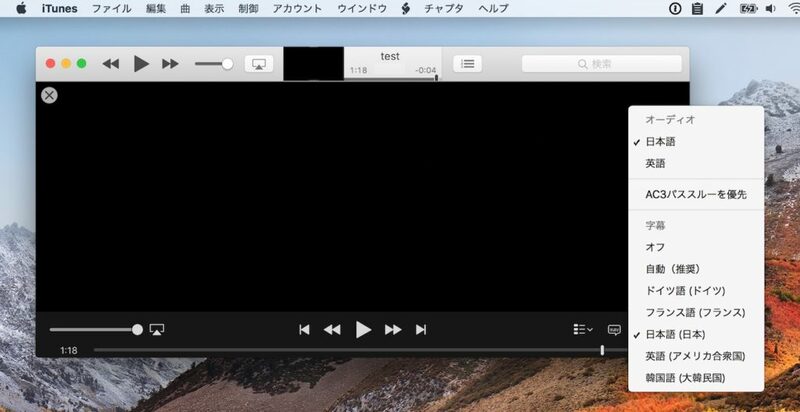 The format of Japanese subtitles in videos purchased from the iTunes Store during June 2017 or later might display differently than videos purchased prior to June 2017 because of new multi-language file (MLF) formatting. To view Japanese subtitles, update your iOS, macOS, tvOS, and get the latest version of iTunes. Japanese subtitles can’t be viewed on an Apple TV (2nd generation).